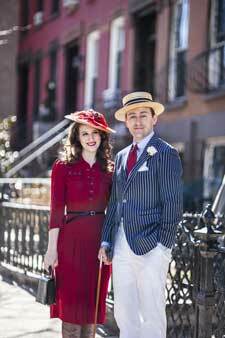 Boston Swing Central’s Roaring Twenties Lawn Party! If you’re looking for something fun and vintage-related to do this weekend, and you’re looking to get out of NYC, or are near Boston, be sure to consider Boston Swing Central’s Roaring Twenties Lawn Party. The original date was last Sunday, but it got rained out and was rescheduled for this coming Sunday, August 3rd. It takes place on the beautiful Crane Estate in Ipswich that looks to be completely stunning from the photographs! Please come out; it will be an amazing time and the weather looks like it will be perfect!